If you ask any experienced lawyer in Birmingham, AL, “Who is the most successful DUI lawyer in Alabama?”, the name most commonly mentioned is Birmingham DUI lawyer Mark Polson or his son, Birmingham DUI attorney Whitney Polson. Without question, the top Alabama criminal defense attorneys on the topic of DUI attorney Birmingham AL is the Polson Law Firm. Read more below about Whitney Polson, DUI attorney Birmingham AL and his new book, Alabama DUI Defense (co-authored with three other Alabama DUI attorneys. The 2016 drunk driving book on Alabama DUI laws has gained a lot of attention in the legal community in Alabama. Whether a DUI Alabama arrest was made at a DUI checkpoint, or after a DUI accident, or (under DUI laws in Alabama) will be a felony DUI by virtue of a car accident with serious injury or vehicle homicide, the Polson Law Firm handles all aspects of DUI law Alabama. Drunk driving defense in Alabama is their specialty. With Alabama DUI experience approaching 60 years of service, the two Alabama DUI attorneys have blanketed the criminal courts of Birmingham and northern Alabama by handling both misdemeanor and felony criminal matters and driving under the influence cases, both felony and misdemeanor. When it comes to Alabama DUI, no lawyers in Alabama have more DUI case experience than DUI specialist Mark Polson. DUI defense lawyer reputation is built off repeated success in drunk driving cases. Attorney ratings, like Super Lawyers (which both Mark and Whitney have received) come from proven track records. 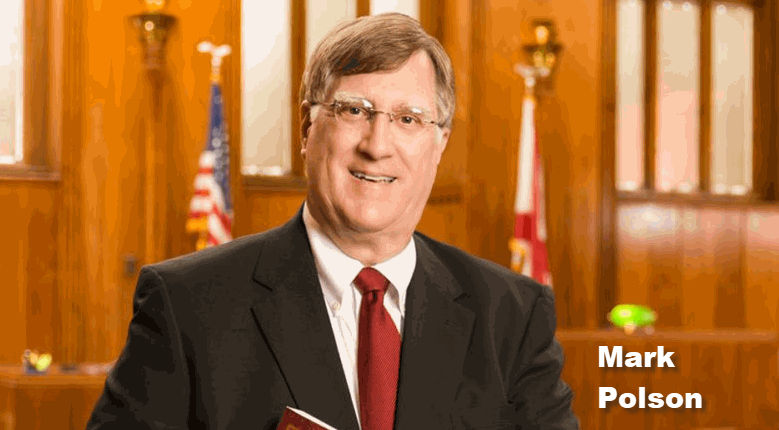 In fact, virtually every Alabama DUI attorney in practice for 20 or more years knows the name “Mark Polson” as a Birmingham DUI lawyer because of the many high-profile clients the Birmingham DUI lawyer has helped during his 43-year career. Mark’s handling of these celebrity DUI arrests has often made the news in Alabama. 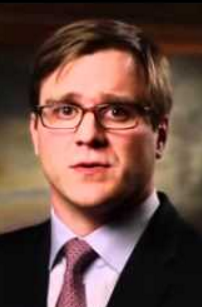 In today’s social media world, and with paparazzi seeking new media stories all the time, a sports figure or celebrity being represented by either Mark Polson, or his son, DUI attorney Birmingham AL Whitney Polson, for a DUI in Alabama. While the news media picks up on DUI Alabama cases for celebrities, Whitney and Mark Polson treat ALL of their clients the same –with dedication to getting a DUI dismissed, or a DUI reduced to reckless driving, where police have violated DUI law Alabama. Birmingham DUI attorneys Mark Polson and Whitney Polson are legal experts on Alabama DUI laws, and have been invited speakers at numerous DUI defense lawyer Birmingham DUI lawyer Whitney Polson just co-authored the latest book on Alabama DUI laws, in 2016. 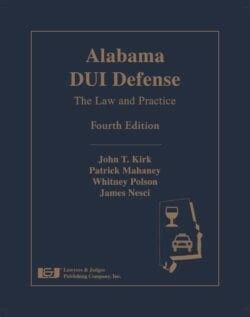 The book is titled: Alabama DUI Defense. A new seminar featuring this DUI law Alabama book is being planned in 2017. If you don’t know any DUI defense attorneys in Birmingham to ask for a referral, read more about either of the partners at Polson Law Firm on the Web site, before hiring another DUI defense lawyer to handle your criminal case. If you want to know how to get out of a DUI in Alabama, this is the firm to see. They know DUI laws in Alabama from A to Z. When it comes to needing the best Birmingham DUI attorney, the Polson law firm is the “go to” criminal defense lawyer firm in Alabama, for people focused on beating a DUI. If you need a criminal justice attorney in Birmingham, or any other Alabama court location, Whitney Polson and Mark Polson can help. For four decades, Birmingham DUI lawyer Mark Polson has been an Alabama criminal defense attorney with a statewide reputation for being an aggressive advocate for his accused clients. The veteran criminal defense attorney Birmingham AL has followed his passion for fighting felony and misdemeanor cases in Alabama. Whitney Polson knows Alabama criminal laws like the back of his hand. Many people are not aware that both Whitney and Mark Polson have handled felony or misdemeanor cases all over the State of Alabama. 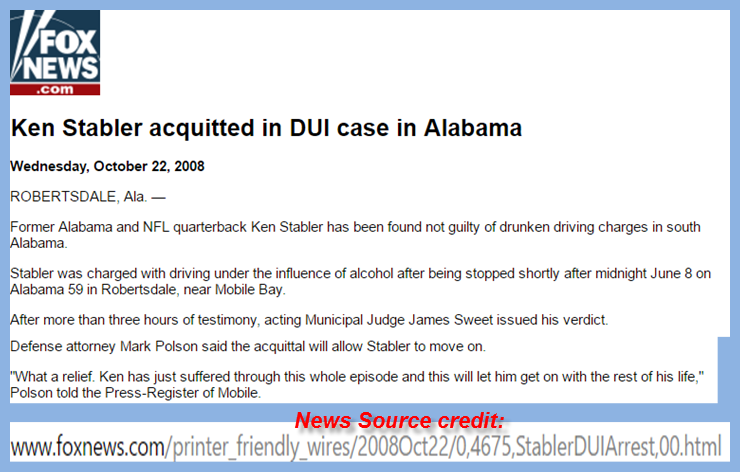 By way of example of this, the news article posted above was from a DUI trial handled by Mark in Mobile AL. Plus, our DUI law firm’s clients want privacy, anonymity and no publicity, but celebrities always seem to be the focus of the Press. So, we can’t tell you details about the thousands of successful DUI defenses we have used to win cases for our other clients. Because accused citizens facing Alabama DUI charges, possession of marijuana or drug possession charges want to hire the best private criminal defense attorney, even if that is a criminal lawyer Birmingham, like one of the members of the Polson Law Firm. Providing aggressive criminal defense as the benchmark of their criminal law practice has been the “bread and butter” of Birmingham DUI lawyers, Whitney Polson and Mark Polson. In 2016, Birmingham criminal defense attorney Whitney Polson (along with three other Alabama DUI lawyer specialists) co-authored a new book outlining Alabama DUI law and DUI defenses. 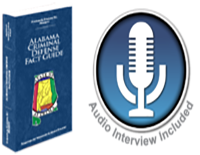 The title of the book, Alabama DUI Defense, has been the theme of the Polson Law Firm criminal defense attorney practice in Alabama for decades. 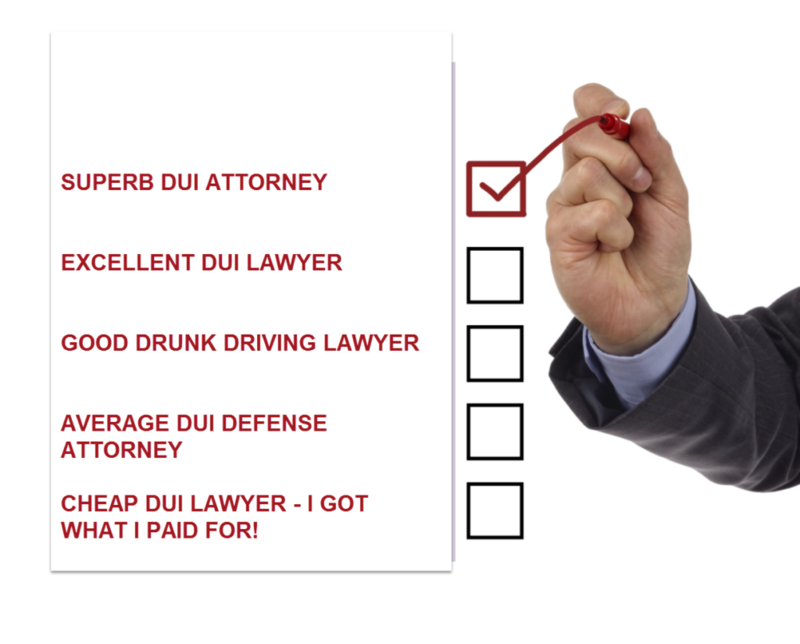 Regardless of the specific driving under the influence topic they are asked to write about or lecture other DUI attorneys on, based on their expertise in Alabama DUI, the central issue for both DUI defense lawyers is how to beat a DUI. Over 85% of all criminal cases at the Birmingham DUI lawyer office arise from arrests for alcohol or drug-related offenses, with the large majority being DUI Alabama arrests. But our criminal defense attorneys have dozens of other criminal law cases on their shelves, that have no connection to drinking alcohol, using drugs or driving under the influence. These criminal defense cases include hit and run, racing, drug trafficking, prostitution, bond forfeiture, failure to appear, theft by deception, family violence, fraud, pandering, identity theft, auto theft, and underage drinking (MIP). Certainly, possession of marijuana is a constant source of business for our attorneys in Birmingham, as well as possession with intent to distribute, or drug trafficking. So, whether a DUI in Alabama, a suspended license Alabama, or being arrested for an Alabama Class A misdemeanor, the Polson Law Firm can help. We also handle all types of felony or misdemeanor cases, not involving drunk driving. Our prior results for our clients earned us top lawyer ratings, so give us the opportunity to provide you with first class legal service. Call us 24 hours a day at 205-871-8838 or our after-hours number, 205-222-4544.